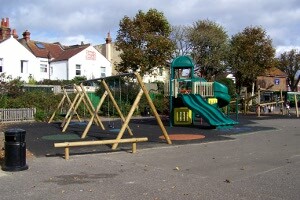 Stoneham Park is a valued community park with a number of facilities for all to enjoy. The park features shaded areas for those seeking some peace and quiet. It also benefits from The Snug, Hove - an important community resource. Visit The Snug Hove's Facebook page. The park features two play areas: one has a sandpit and a new coloured mural on the wall and is particularly suited to younger children. The other play area is in the main body of the park and has larger climbing equipment, swings and slides. Stoneham Park is in the Poets Corner area. 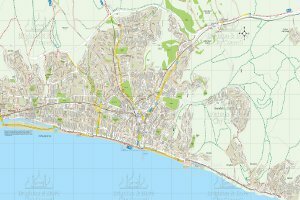 Find out more about this area of the city at community website MyBrightonandHove. This website also features some personal accounts from local people who have enjoyed Stoneham Park. Click here to read more. Basketball court. Find out more about the city's summer sports in parks facilities. This offers space to hire for workshops, classes, events and private parties. The closest bus stop is Portland Road, which has many services throughout the day including the 2, 46 and 49 bus routes. Further information and timetables from Brighton & Hove Bus company. There is limited Pay and Display parking available along Stoneham Road and Marmion Road. Cafe - Opening hours vary. Please refer to the cafe's Facebook page for up to date information. 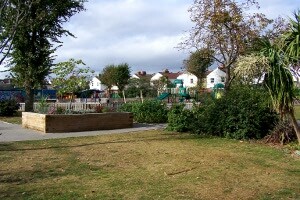 One of the main features of the park is the large playground. It offers the chance to have fun and learn, there are several educational points around the playground. Stoneham Park is one of seven parks in the city recognised by the Green Flag award scheme.